The most powerful call blocking app for annoying phone calls! Call Blocker includes a phone-number database with more than 260,000 records of scammers, advertisers, automated robots, telemarketers & more. 1. Open Call Blocker app, hit "Next" and then "Start". 2. 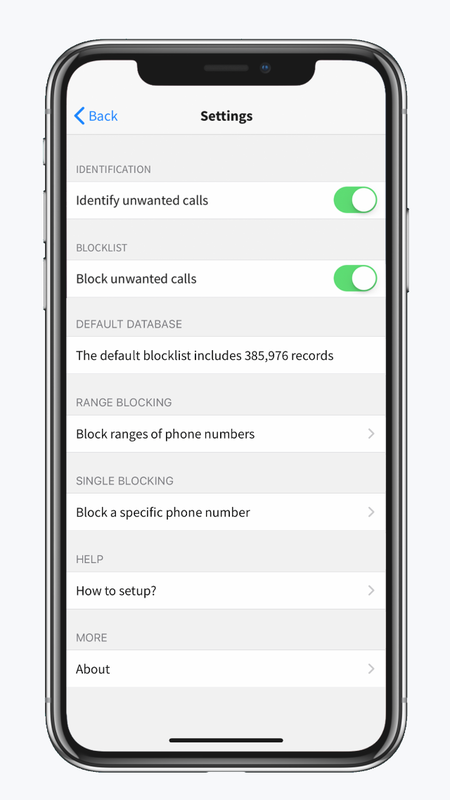 Open the Settings app -> Phone -> Call Blocking & Identification and switch ON Call Blocker. How can i bulk block ranges of numbers? Add ranges of bad & annoying phone numbers using the "Range Blocking" feature. First enter the country code, hit 'Next' and then enter the phone number that you want to range block. Hit 'Next' and select the range of numbers that you want to block on this phone number. Block responsibly! 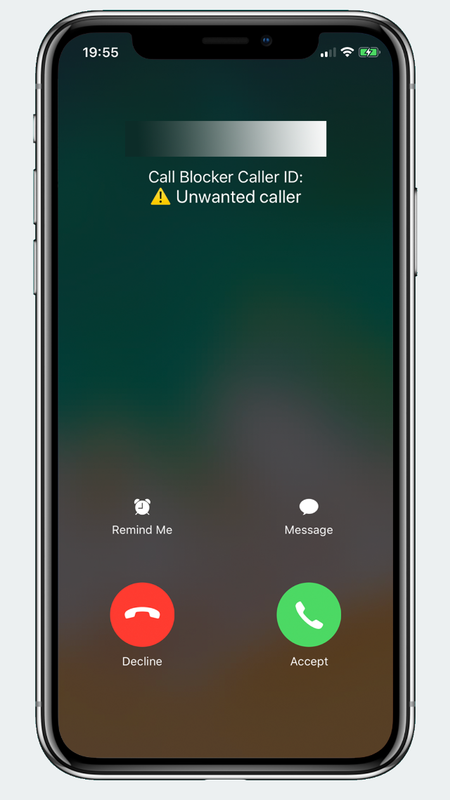 Why i cannot install Call Blocker on my iOS device? How can i block all unwanted calls? Open Call Blocker, tap on "Settings" option on the bottom and switch ON "Block unwanted calls" option. When you'll receive a scam call, it would be blocked automatically. How can i identify all unwanted calls? Open Call Blocker, tap on "Settings" option on the bottom and switch ON "Identify unwanted calls" option. When you'll receive an scam call, the info would show up on your screen below the telephone number when ringing.